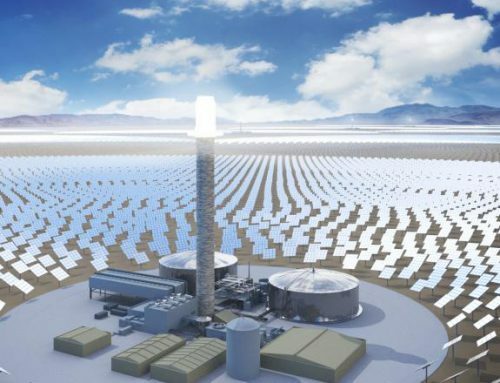 Concentrating solar thermal (CST) technologies are a feasible and promising option to tackle worldwide energy problems. These solar facilities are sometimes located near industrial sites, where their main components—including concentrating solar reflectors—are prone to significant degradation caused by corrosive agents, especially in the presence of sulfurous atmospheres such as H2S and SO2. This paper focuses on analyzing the influence of sulfurous atmospheres on the durability of reflector materials used in CST technologies. To this end, accelerated aging tests were performed on the most commonly used materials found in solar reflectors (i.e., thick silvered glass and aluminum-based reflectors) by applying the same concentrations of H2S and SO2 under the same conditions of temperature and relative humidity. The results showed that the solar reflectors based on a silver reflective layer are significantly corroded by H2S atmospheres—several corrosion defects were found in the samples tested. However, those based on aluminum were barely affected by sulfurous environments in the conditions tested. Nonetheless, the study suggests that both reflector types are suitable candidates, depending on the purpose of the CST technology in question and the specific environmental conditions. 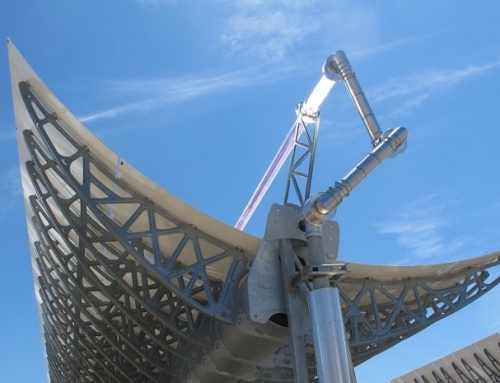 Concentrating solar thermal (CST) technologies are a feasible solution for worldwide energy problems. Currently, the power of CST plants installed and under operation around the world is 4.845 GWe—with 47.5% of this power generated in Spain . This technology is not only a real player in the renewable energy mix, but also represents a truly promising option for the future. 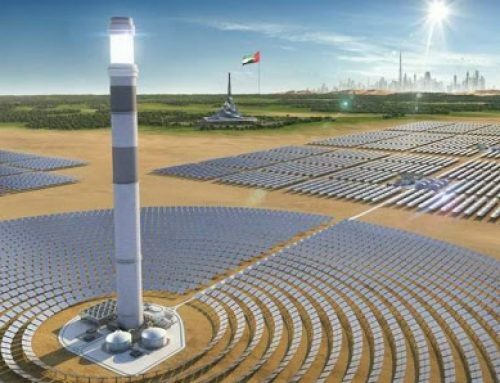 The International Energy Agency (IEA) forecasts in its 2014 technology roadmap that this technology will cover 11% of the total power generation by 2050 . Concentrating solar collectors are sometimes located near industrial sites. This is not only in CST plants for power production, but also in solar facilities to feed industrial processes’ heat demands . In these cases, collectors are prone to corrosion, especially in the presence of sulfurous atmospheres, such as hydrogen sulfide (H2S) and sulfur dioxide (SO2). Reflectors are a vital part of these facilities and must comply with several requirements, including high performance for extended periods of time, even in aggressive environments . When these solar facilities are exposed to these corrosive gases, the metallic components of solar reflectors are highly susceptible to degradation. The components are mainly silver and copper in the case of second-surface silvered-glass reflectors, and aluminum in the case of first-surface aluminum reflectors. Hydrogen sulfide is one of the reduced sulfur gaseous forms present at different industrial sites, along with carbonyl sulfide, sulfur vapor, and mercaptans. The main producers of H2S are rubber manufactures, sewage and waste-water treatment plants, petroleum refineries, coal-generation power plants, and pulp and paper mills [5,6]. Other sources that contribute to H2S emission are farms , marshes, and volcanoes , with H2S resulting from both anthropogenic activity and natural origins. SO2 is one of the most abundant atmospheric contaminants, and is mainly emitted in the combustion of sulfur-containing fossil fuels and the smelting of metal sulfide ores [7,9]. The International Electrotechnical Commission (IEC) has established limits for different polluted environments on the concentration values of H2S and SO2, as illustrated in Table 1 . As shown in this table, SO2 levels are consistently higher than H2S with the exception of the environment inside industries. However, this also depends on the industry type. The existing research on the durability of solar components carried out in the past five years have predominantly been devoted to studying erosive events [11,12,13,14] and saline environments [15,16], as CST plants are frequently located in desert environments and/or near coastal sites. Accordingly, extensive outdoor campaigns have taken place to gain more knowledge of the atmospheric corrosion of metals and solar reflectors [17,18]. Modeling and service lifetime prediction studies on new solar reflector candidates have also taken place [19,20]. Unfortunately, few studies have approached the durability issues of solar reflector materials exposed to polluted atmospheres . This new field of study requires specific testing conditions and evaluation of materials that are wholly different from those previously used. 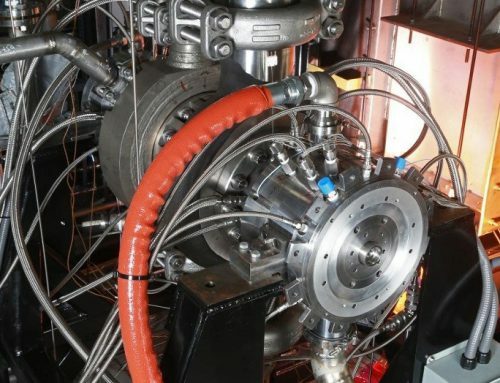 Recently, the significant development of small-sized CST collectors used to supply heat to industrial processes has given way to new research needs. Therefore, the focus of research related to the durability of solar reflectors must be redirected to include industrial environments exposed to corrosive gases. One research area that must be approached is the analysis of the influence of sulfurous atmospheres on the durability of reflector materials used in CST technologies. To date, the few research studies conducted on this specific topic are devoted to the effects of humid sulfur-containing atmospheres [21,22], in addition to the studies already carried out by the authors’ research group with H2S  and acid rain [24,25]. These differ from the present study in that the effect of each gas was assessed independently without comparing it to the effects of other gases. However, examples of active research on the effects of this type of environments on the pure metals present in solar reflectors can be found in the literature [26,27,28,29]. Some of the conclusions derived from these studies may also be of use for the solar collectors of the present study. 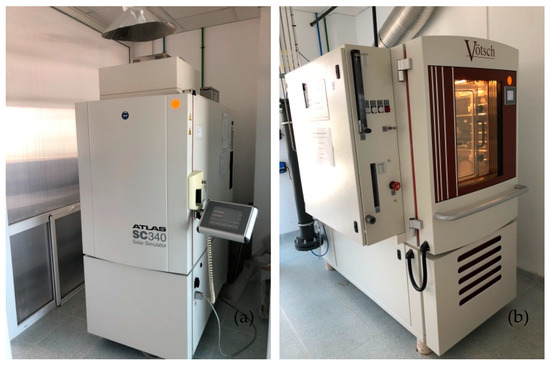 The aim of this study is to compare the effects of two sulfurous gases (H2S and SO2) on solar reflector materials, when performing accelerated aging tests under the same conditions of gas concentration, temperature (T) and relative humidity (RH). Unlike previous studies, this study carries out a comparative analysis of the effects of two sulfurous gases on reflector performance. In addition, this study provides recommendations about which reflector type is more appropriate for a specific polluted environment. The main conclusions drawn are that the reflective silver layer is easily corroded by H2S atmospheres, especially in pre-damaged zones, while the reflective layer of aluminum is barely affected by SO2 or H2S under the testing conditions. Synergism with other factors such as T and RH were considered significant accelerating agents in the corrosion process of solar reflector materials. This section describes the solar reflector materials tested in this work, the testing approach followed, and the methods used to evaluate the results obtained. First, the experimental approach is described. Reflector material samples were prepared and extracted from bigger facets in a format suitable for testing and assessment (see Section 2.2). They were rinsed with deionized water before their initial characterization, which mainly consisted of reflectance measurements and optical microscope (OM) inspections (see Section 2.4). After the initial assessment, the samples were tested in accelerated aging chambers, as described in Section 2.3. The two reflector types were weathered at the same time and under the same T and RH conditions, only modifying the corrosive gas (H2S, SO2 or without gas) between tests. The potential effects of the testing atmospheres were evaluated at different points of the tests, as explained in Section 2.3 with the analytical instrumentation described in Section 2.4. Two different reflector samples were studied for this article due to their widespread use in CST facilities . Both second-surface silvered glass reflectors with one originally protected edge and first-surface aluminum reflectors were analyzed to assess their behavior when exposed to two corrosive gases, namely SO2 and H2S. Aluminum reflector samples had measurements of 12 × 12 cm2 and silvered glass reflectors measured 10 × 10 cm2. Both the sizes were appropriate to test the samples inside the chambers and to measure them in the evaluation equipment. Three samples per reflector type were used to obtain statistically representative data. The second-surface silvered reflector samples were cut out of a commercial parabolic-trough facet, boasting three cut or unprotected edges and one originally protected edge. In the protected edge, the reflective layer was totally covered by several paint layers. In principle, this would make the edge more effective against external agents, including corrosive gases. Conversely, the remaining three cut edges were completely exposed to the corrosive environment and were significantly more vulnerable to weathering effects. An additional initial damage was deliberately performed in order to expose the reflector layer directly to the corrosive atmosphere. This damage was performed with a normalized scratching tool model 426 90064/009 manufactured by Erichsen , resulting in a 2 cm-long scratch on the back painted side of the samples. This pre-damaged reflector area attempted to simulate the corrosion experienced by samples that may face sandstorm conditions , inappropriate manipulation, aggressive cleaning procedures , etc. Regarding the first-surface aluminum samples, the same scratch procedure was carried out on the reflectors’ front surface to evaluate the corrosion acceleration caused by this pre-damage. However, this material does not have protected edges as commercial aluminum facets are not manufactured with this type of edge protection. Two different test chambers were used to perform the experiments—one filled with corrosive gas and one without. Both chambers could be controlled in remote mode. Additionally, the chambers were equipped with T and RH sensors, which could not only control the atmospheric conditions during the test, but also switch off the device, should a problem have occurred. As a security measure, several gas detectors were installed inside the room where the chambers were placed in the event of a gas leakage. An SC 340 MH weathering chamber with a testing volume of 340 l and manufactured by Atlas was used for the tests without corrosive gases (Figure 1a). 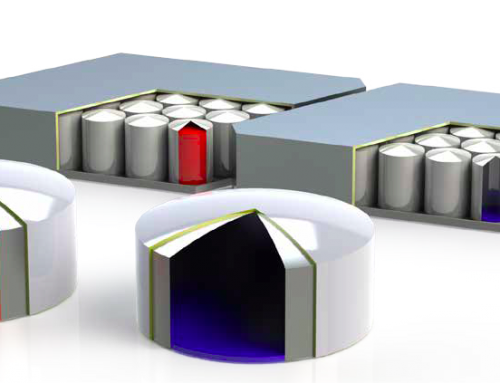 The chamber could combine T, RH and irradiation, with an operating T range of 10–90 °C, and a RH range of 10–90%. Figure 1. Weathering chambers used in the corrosive tests: (a) SC 340 MH; (b) VCC3 0034 Vötsch. A VCC3 0034 Vötsch chamber with a testing capacity of 335 l was used to test the samples in the environments with the two gases under study (Figure 1b). The operating T range of this chamber was 15–60 °C, and the maximum RH range is 10–85%. The chamber also had four different gas feed lines that allowed for single- and multiple-gas testing. The maximum permissible gas concentrations inside the chamber were 25 ppm for H2S, SO2 and NO2, and 1 ppm for Cl2. For this study, two of the most aggressive gases found in industrial atmospheres (SO2 and H2S) were tested independently. In both cases, the carrier gas flow (SO2 and H2S diluted in N2) was driven through an absorbance column with a specific desiccant and a particle filter to remove impurities before entering the chamber. The experimental campaign with corrosive gases was based on the international standard IEC 60068-2-43:2003, environmental testing—Part 2-43: Test Kd: Hydrogen sulphide test for contacts and connections . This standard was originally conceived to study the influence of H2S environments in silver alloys and coatings. However, IEC parameters were modified for this study to reach the maximum operating T and RH of the weathering chamber. Three different experiments were performed at the same T and RH (that is, T = 60 °C and RH = 85%). The only variation was the gas added. The first test was carried out without sulfurous gas, i.e., T and RH were the only parameters involved in the test. The other two tests were carried out in the presence of the two gases under analysis (SO2 and H2S)—both with a concentration of 15 ppm. These extreme conditions are rarely found in other studies. There may have been synergistic degradation mechanisms between the different parameters, especially in the tests with gas. All the samples were placed on an inert-material tray at a 45° tilt angle inside the weathering chambers. The samples were taken out to be meticulously analyzed at regular intervals. These were on days 4, 7, 10, 14 and 21. Before being characterized, samples were rinsed with deionized water to remove any dirt or corrosion products on the reflector surface. A portable reflectometer model 15R-USB manufactured by Devices and Services  was used to calculate the monochromatic specular reflectance, ρλ,φ, in a wavelength range of 635–685 nm with a peak at 660 nm, ρλ,φ (660 nm, 15°, 12.5 mrad). An acceptance angle of 12.5 mrad was used to measure nine different areas of the reflector sample, as illustrated in Figure 2. This image shows that the scratch is exactly on the square A8. Hence, ρλ,φ is expected to be lower in this pre-damaged area than in the rest of the sample and therefore was treated independently. Three measurements on the square A8 were taken to provide statistics on the results. The remaining eight areas were considered consistent and as a result their reflectance average represents the reflectance value of the undamaged surface. Solar-weighted hemispherical reflectance, ρs,h, was measured with a spectrophotometer model Lambda 1050 with a 150 mm diameter integrating-sphere accessory manufactured by Perkin Elmer . The wavelength range measured was 280–2500 nm with an incidence angle of 8°, ρs,h ([280, 2500] nm, 8°, h). This parameter was calculated according to the ISO Standard 9050 formulation  using the solar direct radiation spectrum from ASTM G173-03 . The samples were measured at the central position (A5 zone in Figure 2) by rotating them three times to check for any possible anisotropy. A 3D OM model Axio CSM 700 manufactured by Zeiss was used to follow the evolution of prospective defects . Pictures of the defects, such as spots or edge corrosion, were taken at 10× magnification to assess the corrosion originated in the reflector layer. Pictures of the reflectors surfaces were taken every time the analysis was carried out. Figure 2. 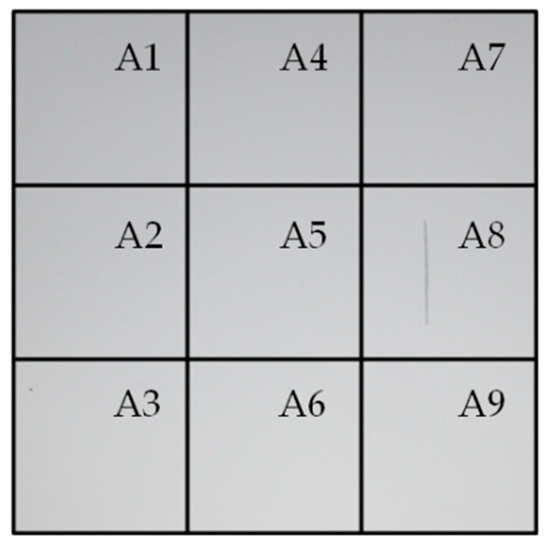 Selected square areas for ρλ,φ measurements on the reflectors samples. The scratch is in square A8, while the other areas correspond to the initially undamaged reflective surface. This section sets out the results obtained in two different reflector types (second-surface silvered glass and first-surface aluminum) subjected to extreme conditions of T and RH and two corrosive gases typically found in industrial environments—SO2 and H2S. An additional test performed under the same T and RH testing conditions but without sulfurous gases was carried out to verify if the potential deterioration of the materials was indeed caused by the presence of the corrosive gases. Several reflectance parameters, such as the monochromatic specular reflectance, ρλ,φ, and the solar-weighted hemispherical reflectance, ρs,h, were monitored in order to track the performance of the reflectors. Additionally, corrosion spots and the area of the scratch were carefully inspected with OM. All the reflectance values were normalized to the initial values to properly compare the results and analyze the influence of the testing conditions on the two reflector types. The initial reflectance values of the two reflector types are significantly different as shown in Table 2, with the silvered glass reflector having the best optical performance. Table 2. Initial reflectance values of the undamaged areas of the two reflector types under study. Figure 3 illustrates the results of the normalized ρλ,φ (a) and ρs,h (b) measured in the undamaged area of the reflector samples for the two reflectors and the three testing conditions. As can be seen in this figure, silvered glass reflectors are more degraded by H2S than by SO2, although the final values are very close. It also shows that in the test without gas, the material did not degrade. Concerning aluminum reflectors, there is a very subtle difference in the ρs,h results (Figure 3b), indicating a slightly poorer behavior of this reflector type, when exposed to SO2 in comparison to H2S. This difference cannot be confirmed with the ρλ,φ values (Figure 3a), as the uncertainty of the measurements is substantial. This is due to the inherent heterogeneity of this material as depicted by the standard deviations. This fact is corroborated by OM inspections, where there are no signs of corrosion developments, either on the cut edges or on the reflective surface of aluminum reflectors (see Figure 4). Figure 3. Evolution of the normalized reflectance change on the areas not initially damaged for the tests throughout the 21 days of the experiments, both for silvered glass and aluminum reflectors: (a) Monochromatic specular reflectance; (b) Solar-weighted hemispherical reflectance (light-blue squares in the test without gas (Ag-0), light-red squares in the SO2 test (Ag-SO2) and light-green squares for silvered glass reflectors in the H2S test (Ag-H2S) respectively; dark-blue in the test without gas (Al-0), dark-red in the SO2 test (Al-SO2) and dark-green triangles for aluminum reflectors in the H2S test (Al-H2S), respectively). Figure 4. OM pictures of the cut edges and the reflective layer of aluminum reflectors in their initial state (0 days) and after 21 days of the SO2 test. To verify the source of the reflectance reductions detected in the silvered glass reflectors, samples were also analyzed in depth with OM inspections after a certain period of testing time had elapsed (0, 4, 7, 10, 14 and 21 days). Table 3 summarizes the quantitative results obtained through OM analysis after testing the two reflector types for 21 days. Table 3. Summary of the corrosion defects found with OM after testing silvered glass and aluminum reflectors for 21 days. Figure 5 shows the evolution of the corrosion near the cut edges of silvered glass reflectors during the three tests performed. As depicted in both Figure 5 and Table 3, the corrosion caused by the tests with gases (b, c) under same T and RH conditions is considerably more aggressive than the one caused without corrosive gas (a)—with H2S (c) being the most harmful gaseous agent for this type of reflector. Figure 5. OM pictures of the evolution of corrosion in the cut edges after carrying out tests on silvered glass samples for 21 days: (a) Ag-0 test; (b) Ag-SO2 test; (c) Ag-H2S test. It is also noteworthy that during the H2S test performed on the silvered glass reflectors the protected edge was also significantly affected (see Figure 6 and Table 3), while in every other test the protected edges were not damaged. Figure 6. OM pictures showing the evolution of the protected edges after performing the H2S test on the silvered glass samples for 21 days. 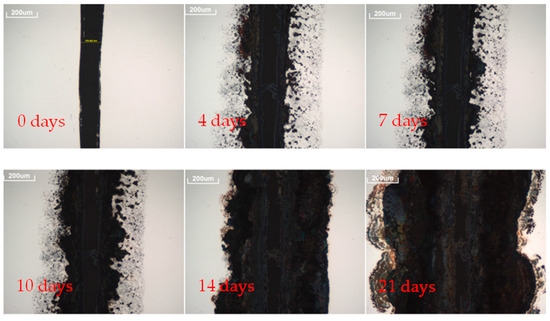 As shown in these images (Figure 5 and Figure 6), corrosion appears gradually on the silver layer, attaining maximum development after 21 days. Localized corrosion spots on the silver layer were observed in both the H2S and SO2 test. The number of spots was considerably higher when the experiment was performed in an H2S atmosphere (see Table 3). Typical spots near a protected edge can be seen in Figure 7, after 4 days and 21 days of the H2S test. Figure 7. Evolution of microscopic spots near a protected edge in silvered glass reflectors of the H2S test after 4 days and 21 days. Aluminum reflectors did not suffer significant deterioration in either of the tests (see Table 3), but some degradation phenomena were observed after the SO2 test, such as a few defects in the protective coating layer (illustrated in Figure 8). Figure 8. 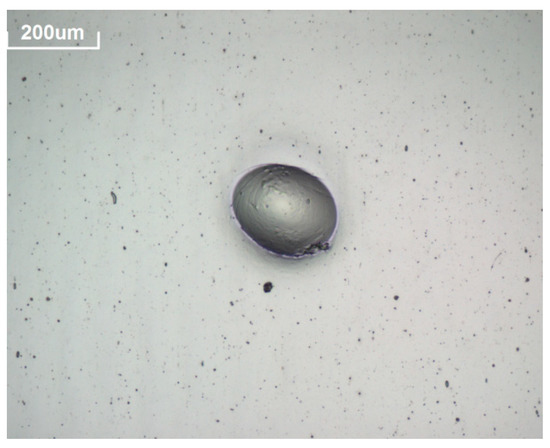 Microscopic defect found in the protective coating layer of an aluminum reflector after 21 days of the SO2 test. As mentioned in the methodology, studying the aggressiveness of the corrosive gases when a scratch is present on the reflector surface is of special interest as this often occurs through inappropriate manipulation of the mirror during mounting or manufacturing. To this effect, the normalized reflectance graph can be plotted to observe the evolution of scratch corrosion without being influenced by the initial scratch state. A graphic evolution of the scratch reflectance over 21 days can be seen in Figure 9a. A drastic decrease in ρλ,φ is observed on the scratch surface of the silvered reflector when the experiment is performed in an H2S atmosphere (up to 0.08 points), while no significant ρλ,φ decrease is detected under the other testing conditions. 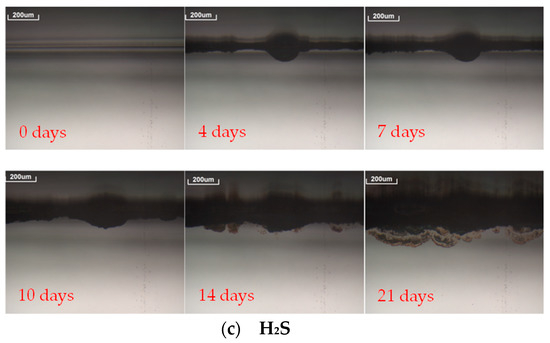 Similarly, there is an increase in scratch width caused by the development of corrosion, reaching a maximum value of 901 µm after 21 days of the H2S test (Figure 9b). Additionally, there is a slight increase in scratch width after the tests with SO2 and without gas (121 and 45 µm, respectively). Regarding aluminum reflectors, no significant degradation is observed in either of the tests. This is in line with the previously reported results for the undamaged area of this type of reflectors. Figure 9. Evolution of the normalized reflectance change and increase in scratch width on the initially damaged areas of silvered glass and aluminum reflectors throughout 21 days of tests: (a) Normalized evolution of the change in monochromatic specular reflectance; (b) Increase of the maximum scratch width (light-blue squares in the test without gas (Ag-0), light-red squares in the SO2 test (Ag-SO2) and light-green squares for silvered glass reflectors in the H2S test (Ag-H2S), respectively; dark-blue in the test without gas (Al-0), dark-red in the SO2 test (Al-SO2), and dark-green triangles for aluminum reflectors and in the H2S test (Al-H2S), respectively). 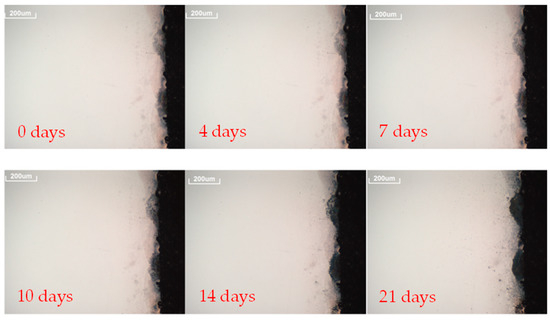 As shown in Figure 10, the deterioration of the scratch on the silvered glass samples during the H2S test can also be clearly observed in the OM pictures. However, Figure 11 shows no change in the scratch on aluminum reflectors after performing the SO2 test for 21 days. Figure 10. OM pictures showing the evolution of the scratch on the reflective side of silvered glass reflectors after performing the H2S test for 21 days. Figure 11. OM pictures of the scratch on aluminum reflectors in its initial state (0 days) and after performing the SO2 test for 21 days. 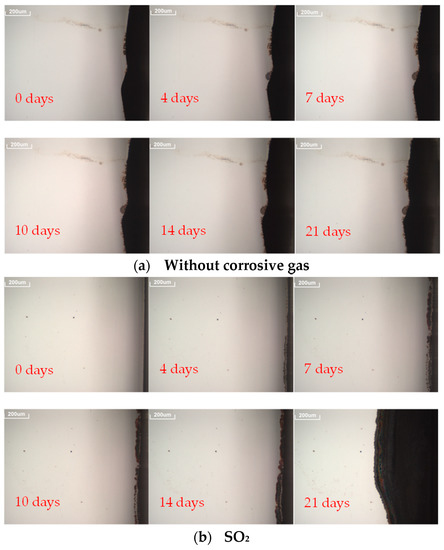 This study proves that the presence of corrosive gases in the environment has an effect on the reflective layer of silvered glass reflectors when the pollutant is H2S. The main signs of corrosion on the initially undamaged silvered reflective layer are found near the protected edges as micro spots (black spots smaller than 200 µm) as well as on the reflector surface as corrosion spots visible to the naked eye. As expected, the pre-damaged areas of the reflector (i.e., cut edges and scratch) are more deeply corroded. Conversely, no significant signs of corrosion were observed in aluminum reflectors on performing accelerated corrosion tests with both sulfurous gases for 21 days. However, aluminum reflectors are also prone to corrosion according to other studies, especially in the presence of SO2 in acid rain conditions . These results show prominent corrosion in this reflector type when the surrounding atmosphere is moist and the gas concentration is high. Therefore, both the concentration of the corrosive gas and its interaction with other factors, such as T and RH, must be considered when studying the durability of aluminum reflectors. The results of this study show that silvered glass reflectors are suitable when a high optical performance is required and pollutant concentrations in the atmosphere are relatively low. Aluminum reflectors may be considered appropriate candidates if not very high specularity values are needed in industrial environments, such as in small collectors for industrial process heat applications. Therefore, despite its lower reflectance, aluminum reflectors can be commercially competitive due to their simpler and more cost-efficient fabrication process, and their slower degradation rate in industrial environments, compared to silvered glass reflectors . In past studies, aluminum degradation has been proven to be rather slow due to its protective SiO2 layer . Studies also show that aluminum needs to be exposed to synergistic conditions (moisture, abrasion and pollutants) for a long time to be corroded . Future research should focus on studying broader, more complex environmental conditions to reproduce the multiple possibilities of real outdoor exposure. For instance, a wider range of pollutant concentrations must be addressed to cover different polluted environments. Another prospective approach is the study of gas mixtures and the synergistic effects with the other factors in this multicomponent case. In addition, the results obtained in this study highlight the opportunity to study the durability of other CST components apart from reflectors, such as receivers, when they are subjected to corrosive sulfurous environments. It should be noted that comparisons of accelerated aging and real outdoor tests are being carried out to validate the durability studies of solar reflectors presented in this paper. These tests are being done in cooperation with plant operators and owners. However, these results have not been included, as outdoor testing campaigns have a medium- to long-term duration (at least 3–5 years). Conceptualization, A.F.-G. and F.S. ; Methodology, A.F.-G. and F.S. ; Software, A.G.-S.; Validation, A.F.-G. and M.J.A. ; Formal Analysis, M.J.A. ; Investigation, A.G.-S. and F. B.M. ; Resources, L.V. ; Data Curation, A.G.-S. and M.J.A. ; Writing-Original Draft Preparation, F.B.-M.; Writing-Review & Editing, A.G.-S. and A.F.-G.; Visualization, M.J.A. ; Supervision, L.V. ; Project Administration, L.V. ; Funding Acquisition, L.V. The research work leading to this article received ERDF funds from the Spanish government within the framework of the SOLTERMIN project (Ref. ENE2017-83973-R) of the Ministerio de Economía, Industria y Competitividad (Spanish Ministry of Economy, Industry and Competitiveness). Additionally, research leading up to this study also received funding from the EU Horizon 2020—H2020-LCE-2016-2017 under grant agreement n° 731287 (Integrating National Research Agendas on Solar Heat for Industrial Processes, INSHIP). The authors would like to thank Lucía Martínez-Arcos of CIEMAT and Tomás Jesús Reche-Navarro of DLR for their valuable contributions in the whole experimentation process. Protermosolar. Available online: www.protermosolar.es (accessed on 7 June 2018). IEA. Technology Roadmap: Solar Thermal Electricity. 2014. Available online: https://webstore.iea.org/technology-roadmap-solar-thermal-electricity-2014 (accessed on 7 June 2018). Scratching Tool acc. to van Laar, Model 426. ERICHSEN GmbH & Co. KG. Available online: https://www.erichsen.de/corrosion-testing/specimen-preparation/scratching-tool-acc-to-van-laar-model-426/technical-description-model-426-pdf/download (accessed on 24 July 2018). IEC 60068-2-43:2003. Environmental Testing—Part 2-43: Tests—Test Kd: Hydrogen Sulphide Test for Contacts and Connections. Available online: https://webstore.iec.ch/publication/526 (accessed on 24 July 2018). Perkin Elmer. Perkin Elmer High Performance Lambda Spectrophotometers Hardware Guide. Available online: http://www.perkinelmer.com/product/lambda-950-uv-vis-nir-spectrophotometer-l950 (accessed on 24 July 2018). International Organization for Standardization. ISO 9050, Glass in Building, Determination of Light Transmittance, Solar Direct Transmittance, Total Solar Energy Transmittance, Ultraviolet Transmittance and Related Glazing Factors, Geneva. 2003. Available online: https://www.iso.org/standard/35062.html (accessed on 24 July 2018). Carl Zeiss MicroImaging GmbH. Zeiss 3D Light Microscope Model Axio CSM 700 Operating Manual. 2010. Available online: https://www.rdmag.com/product-release/2010/01/axio-csm-700-confocal-light-microscope (accessed on 24 July 2018).